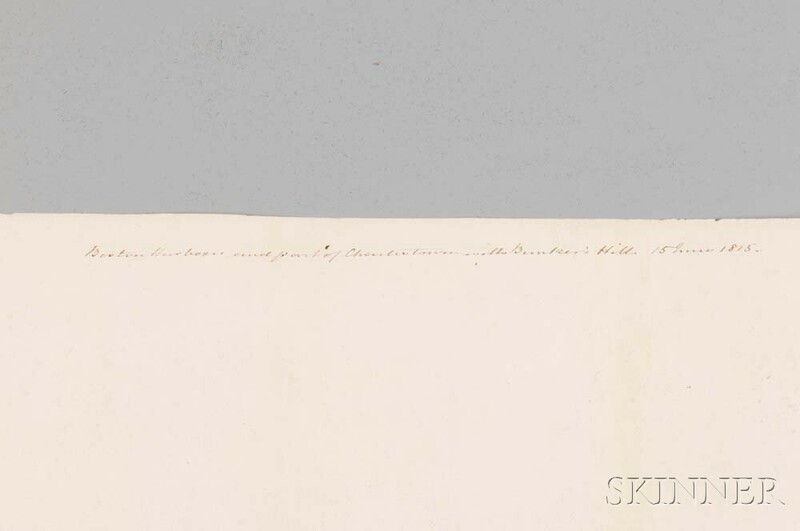 Unsigned, dated "15 June 1815" on the back of the second sheet. Watercolor on six joined leaves of paper with "RUSE & TURNERS/1810" watermark, Bunker Hill and Charlestown in the foreground and the Town of Boston in the background, with carefully rendered buildings, bridges, and landscape, lg. 114 1/4, ht. 7 1/2 in. Condition: Minor staining at joins, scattered professionally mended short tears and losses along the edges. Provenance: The property of Reverend C.A. Machonochie, Sotheby's, 1943.